En el CBS, The British School of Seville, nuestro objetivo es crear un ambiente positivo e integrador para nuestros estudiantes. Esto empieza por nuestro personal. Nuestro colegio es un lugar de trabajo emocionante y desafiante, y acogemos con satisfacción las solicitudes de personas apasionadas y motivadas que desean unirse a nuestra comunidad y ayudarnos a alcanzar nuestros objetivos. Las vacantes abiertas se publican en esta página. Si no hay vacantes abiertas o relevantes a continuación, tienes la opción de presentar una solicitud. 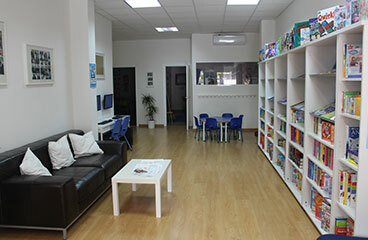 At CBS, The British School of Seville, our goal is to create a positive and inclusive environment for our students. This starts with our staff. Our school is an exciting and challenging workplace, and we welcome requests from passionate and motivated people who want to join our community and help us achieve our goals. Open vacancies are posted on this page. If there are no open or relevant vacancies then you have the option to submit an application for any possible future vacancies. Native English Teachers. CBS Language Academy. La mayoría de los puestos se ocupan mediante el anuncio y el proceso de solicitud que se describen en la página “Ofertas de trabajo”. Sin embargo, a veces puede desear enviar una solicitud para un puesto no demandado. Cuando CBS, The British School of Seville, recibe una oferta de trabajo no solicitada, esta se almacena en nuestra base de datos de candidatos. En ese caso, el solicitante recibirá un email cuando haya una vacante que creemos que coincide con sus características. Most positions are filled via the announcement and the application process described on the “Job Offers” page. However, you may wish to send an application for any possible future vacancies. When CBS, The British School of Seville receives a non-advertised job offer, it is stored in our candidate database. In that case, the applicant will receive an email when there is a vacancy that we believe matches their personification. What makes CBS truly special is the relationship between all members of staff and students. It's like a big family, we all care for and help each other, creating positive bonds that contribute to a healthy, safe and supportive environment in which the students take on academic challenges and develop into self-confident adults, ready for life outside the school grounds. I love working at CBS because of its fantastic learning enviroment and also that it gives me a great sense of achievement to see children develop in their own way. It is wonderful to see children grow and gain in confidence on a day to day basis and to feel that we can really help them reach their full potential. The highlight is being part of a highly dedicated team and the very friendly staff throughout the school. After Six years of teaching in the UK, I felt that I needed a new challenge and a change of lifestyle for myself and my family. With my Wife being Spanish and my eldest child being born here, i have spend the last 5 years commuting regularly with my family to Spain during school holidays to visit my wife's family, each time the journey home to the UK was harder. It was then we agreed that we should reverse roles and live in Spain and visit the UK, so I was overjoyed to apply and be offered the post of Secondary Teacher and later promoted to KS4/5 Coordinator where I could share my experience and knowledge with CBS. At CBS the students are attentive, polite and willing to learn, this is coupled with a wonderful school with a brilliant outside environment that makes the teaching and learning so much more enjoyable. 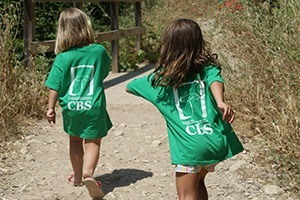 I am truly happy to be apart of CBS as an employee and also delighted as a parent. CBS involves everything I believe in regarding education. My job here is not about teaching, but about creating in the students their will to learn and the need of investigating about life. Thus, CBS offers the students the unique opportunity of discovering their skills and making the most of them while they grow up in an atmosphere of respect, love and passion towards learning. I have been part of the CBS team for a long time and have enjoyed seeing the school go from strength to strength. 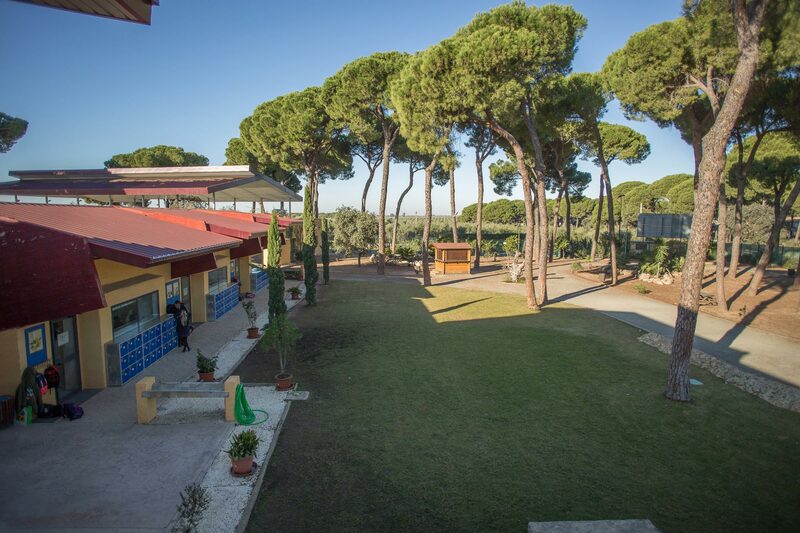 It has a really special atmosphere, not just because of its beautiful setting but also the friendly staff, happy children and international families. My son is now at the school and has great fun everyday and is learning loads.